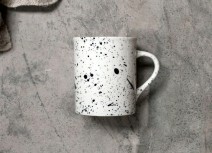 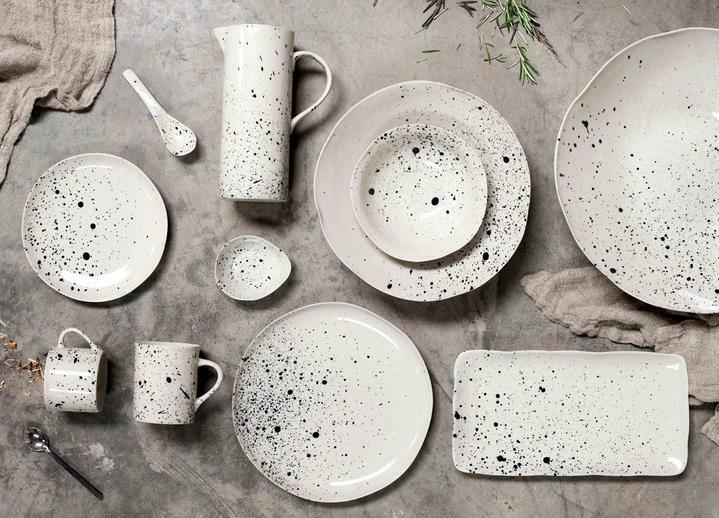 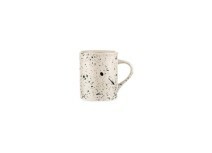 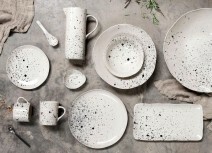 These artisan made Ama mugs are decorated with a black splatter finish. This eye-catching design is created by hand. 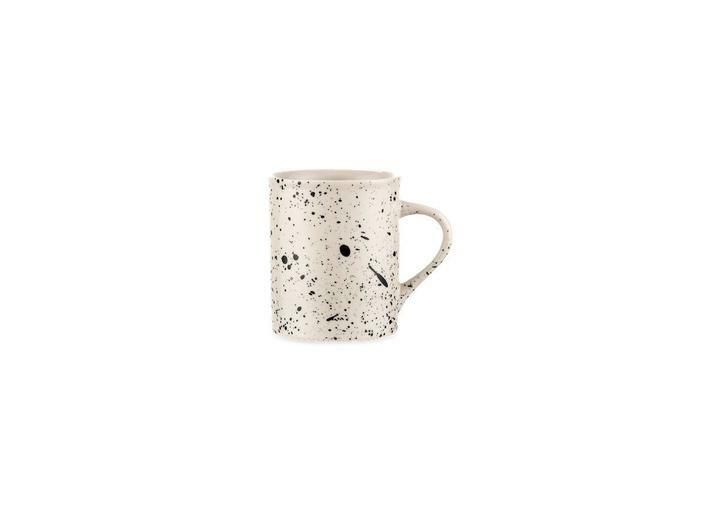 These stylish mugs have a smooth glaze finish and tactile quality.